We observed a substantial increase in the incidence of pulmonary embolism (PE) after total joint arthroplasty (TJA) when multidetector computerized tomography (MDCT) replaced ventilation-perfusion (V/Q) scans as the diagnostic modality of choice. We questioned whether this resulted from the detection of clinically unimportant PE with the more sensitive MDCT and in 2007 instituted a hypoxia protocol to enhance the detection of PE. We determined whether this new hypoxia protocol increased the specificity of our workups for suspected clinically important PE in the immediate postoperative period without affecting patient morbidity and mortality. We compared the frequency of MDCT, V/Q scan and total investigations, incidence of PE, and overall mortality rates in the 3 years prior (January 2003 to December 2006) and 2 years after (January 2007 to November 2009) the implementation of the algorithm. After instituting the protocol, we observed a trend toward a decrease in the number of patients worked up for PE (4.6 to 4.0 per 100 TJAs, 13.5% decrease). At the same time, there was an increase in the percent of positive findings of PE per workup for PE (23–33 positive PEs per 100 patients, 40.5% increase). All-cause mortality rates decreased for the 30-day period (3.1 to 1.4 per 1000 TJAs, 53.5% decrease) and the 90-day period (5.0 to 2.6 per 1000 TJAs, 48.3% decrease). With the implementation of this algorithm, the specificity of our management of postoperative hypoxia and suspected clinically important PE improved without affecting patient morbidity or mortality. 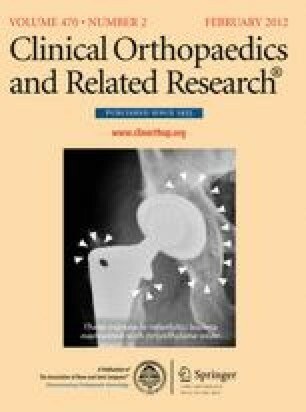 Two authors (JP, RHR) are consultants for and one (RHR) has royalties with Stryker Orthopaedics [Mahwah, NJ, USA]. One author (JP) has Intellectual Properties on SmarTech. Each author certifies that our institution has approved the human protocol for this investigation and that all investigations were conducted in conformity with ethical principles of research.